Postumus, AD 259-268. 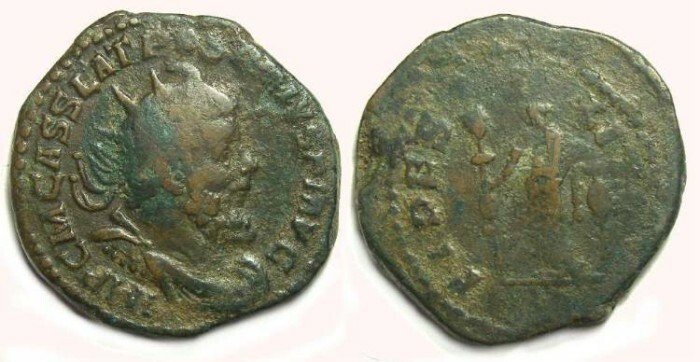 AE double sestertius. Size : 31.2 x 33.2 mm. Weight : 18.08 grams. Grade : Fine but weak on the reverse. Obverse : Radiate bust of Postumus right, with IMP C M CASS LAT POSTVMVS P F AVG around. Reverse : Fides Militum standing forward with head left, holding two standards, with FIDES MILITVM around (the last half of the inscription is not well struck).